Automative giant AP Eagers is the latest tenant to commit to Brisbane Airport’s $300 million BNE Auto Mall project. AP Eagers has secured 61,400 square metres in the precinct. Commencement of the land development program for the project will see site clearing under way later this year 2017 the opening of the BNE Auto Mall planned for 2020. Brisbane Airport Corporation’s (BAC) general manager of commercial businesses John Tormey said the AP Eagers presence is fitting for the BNE Auto Mall. “We are delighted to have AP Eagers join us for the first of three stages of this project. “The group will bring an incredible range of brands and experiences to the precinct as one of the country’s largest and most successful dealers. “We are very pleased with the level of interest in the BNE Auto Mall and are continuing negotiations with other leading automotive groups to secure the final vacant sites. “The vision for the project remains the same – to provide an unrivalled automotive platform for dealers and manufacturers with the ultimate in test drive experience. We know that leading automotive brands are continuing to raise the bar, and this requires a new and fresh approach, a new platform, for how they engage with their customers. “The future of automotive retailing is becoming more dynamic with a push for higher quality, interactive customer experiences. AP Eagers represents 12 major car brands within the geographic area serviced by the BNE Auto Mall, with the opportunity for a number of other brands to join the group. The existing brands collectively represent 48 per cent of the total automotive industry. AP Eagers’ Chief Executive Officer Martin Ward said the BNE Auto Mall offers an exciting opportunity to provide a truly unique customer experience. 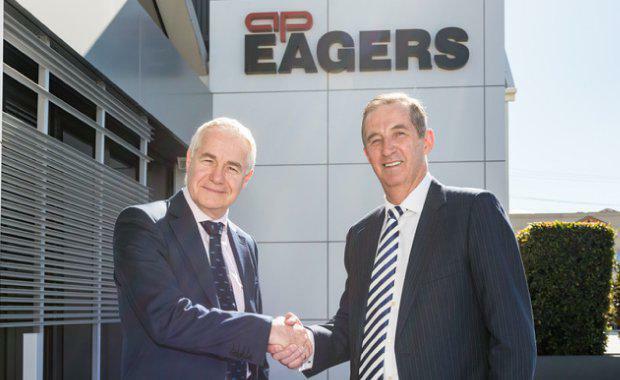 “AP Eagers is proud to establish a major new home on 61,400m² within the BNE Auto Mall. The project’s land development program will commence later this year with the first sites programmed for completion in late 2020. Sci-Fleet Motors was announced as the BNE Auto Mall anchor tenant earlier this year. Commercial negotiations for the BNE Auto Mall are being handled by JLL’s Geoff McIntyre, Ben Koop and Jacob Swan. The Urban Developer is proud to partner with Brisbane Airport Corporation to deliver this article to you. In doing so, we can continue to publish our free daily news, information, insights and opinion to you, our valued readers.